I would often find myself marveling at most of the things we enjoy today. When I was a kid, it took my letters a few days, even weeks, to reach friends in other countries. And before I can receive a reply, it would take another couple of days and weeks. Today, I can talk to anyone from around the world REAL TIME! That, my friends, is a result of disruptive innovation. Innovation has been a huge part of the past few decades as humans try to create new things or improve the ones that are already existing. There are a lot of innovations that just went by without having any real impact on human life. But then, there are those that changed the way people live their lives. Let’s start with the term “disruption”. Disruption happens when a smaller entity tries to challenge bigger entities. How? Well, while bigger players in the market are looking for ways to improve their existing products (which are mostly geared towards their existing market), the smaller newbies start exploring ways to conquer the market the giants are unable to cover. Getting a better understanding of disruptive innovation? Yup, disruptive innovation involves those innovative ideas that change the world as we know it. Take Uber, for example. Cabs are all over, and for years, nobody really thought there would be an alternative. But here it is, taking over the market without the company really owning any vehicles. And Airbnb does the same thing! Day after day, people think of new ideas to make life easier and better. And some of these ideas, when implemented, actually create the disruption we need. In 1876, Alexander Graham Bell invented the first phone. It was such an amazing invention that Inspector-Generals started using it in 1892. In 1905, desk telephones became more common. Companies started making their own versions of the innovation, with AT&T coming up with the wall phone and those luxurious landlines being created by Bell. In 1985, the very first mobile phone was created and back then, they were referred to as brick phones. It was New Year’s Day when the first mobile phone call was made, done by Vodafone through a mobile network in the UK. Mobile phones then took different shapes and sizes – from the “clamshell” to the “candy bar”. Phones went from big to small, then back to big. Then, the PDA happened. The Palm Pilot was quite popular in the late 90’s, with its touchscreen and ability for pocket computing. By then, people were already texting more and more through their mobile phones. 2007 was the pivotal moment when the iPhone was born. It did everything – and I mean, everything. It allowed you to text and call, which made it technically, a mobile phone. But it also allowed you to take pictures, play music, send emails, and a lot more! Basically, it meant that you only needed a single device to do everything. And this, basically, paved the way to today’s mobile-driven world. There was a time when parents wanted their kids to become accountants. But today, people are geared towards more creative careers. Why? Because technology has taken over logical processes. Notice how you can install a software and take care of your finances, or how you can download legal forms and file things like divorces on your own? This is one disruption that technology has caused. Machines have replaced a lot of skilled workers as well, and production lines are not made up of humans any longer, but machines. Somehow, this has resulted to the continuing development of artificial intelligence. For now, AI is still considered weak, seeing that the tech is limited to virtual assistants like Siri and self-driving cars. However, the ultimate goal of people in the tech field would, ultimately, create something like Iron Man’s Jarvis, or probably something way better than that. This is exactly why creativity has taken on a much higher value than before. After all, it’s the one thing machines cannot easily mimic. This part is very evident. Just take a look around you. How many of the things you see are connected to the Internet? IoT is often described as information society’s basic infrastructure. Of course, it is also expected that the more things are connected to the Internet, the more data has to be processed as well. This is why almost everywhere you turn, there is also data to be analyzed. The latter isn’t such a bad thing. Especially for marketers and business owners, it has become easier to understand how each individual mind works, allowing different industries to provide products and services that fit the public’s needs better. There was a time when you had to have cash everywhere you go. And if you go back a few decades to a century, you’ll also realize that you can get stuff in exchange for chickens, wool, grain, or whatever you have at the moment. But then, plastic was born. All of a sudden, people were swiping their credit cards for every purchase they make. It was convenient that way. Now, you can pay for anything even if you don’t have cash. Now, with everything and everybody connected online, it’s only logical that this also presents us with whole new ways to send money and pay for goods and services. From services like PayPal and Xoom, to virtual money like Bitcoin, financial services have taken a turn for the better. Of course, knowing that handling finances has become extremely high tech, it is not surprising at all that the way people keep track of transactions has also escalated into something more secure. Blockchain is the ingenious way to do that, allowing data to be widely distributed without the possibility of copying. Originally, it was designed to be used for Bitcoin holders. But seeing the potential that it has, its use has spread across financial institutions, making online transactions and record-keeping more ironclad than ever. Watch an old movie and you’d probably get glimpses of old VCRs and film reels. You could probably spot a few Atari games in the process. That was what home entertainment was like back then. Then, VCDs and DVDs happened, and with it, more modern gaming consoles like the PlayStation and the Xbox. Eventually, 3D became a thing not only in theaters but in people’s own living rooms through their Smart TVs. Today, the entertainment experience just became more real. Using special gear, you can enter a different kind of reality – a virtual one. Using VR, you can go places, do things and encounter different situations that seem so real while staying in the comfort of your couch or your bed. Technology is moving so fast, that it’s important for people to keep up. Careers that used to be huge are now virtually non-existent, and new job roles are emerging across different industries. What do you do when you don’t want to get left behind? You find ways to address the skill gap. That’s another good thing that modern technology allows. Before, you had to spend a few years in college to specialize in anything. Now, you can go online, attend a few webinars or watch YouTube videos, and you can learn the basics. Skill gaps are more easily addressed nowadays, making it easier to learn a new skill in a snap. Of course, this doesn’t mean that you can skip from one field to another just like that. Experience still plays a huge role in perfecting any craft – that’s one thing that probably wouldn’t change right away. These are just some of the most evident disruptions in the past decades, but they’re enough to make you realize that almost everything around you is the product of disruptive innovation. If there’s one thing we see in the disruptive pattern, it’s the fact that evolution never stops. This is why no matter how impressive technology has become, we can expect a few bigger surprises in the years to come. The past couple of years were good for wearables. Although a lot of them still lacked a few capabilities that we hope we’d be experiencing by now, we’re expecting so much more from them this year and next. Of course, this innovation doesn’t stop there. Why stop at wearables? To date, up to 50,000 people from all over have RFID implants, tech embedded inside the human body to perform actions that we often leave to separate gadgets. Although a lot of people feel that implants would be too invasive (like me), these RFID implants have the capacity to unlock a door with the wave of a hand or take a plane from one place to another with only an implant under your skin in tow. Looking at how implanted technology is progressing, we can expect it to be even more common in the next few years. It could especially prove to be most helpful in the medical field. Today, it is possible to plant a special chip in the ear nerves of the deaf. As a result, they can hear better and would not have to resort to lip reading. Who knows what other implants can be discovered in the future? For years, there has been a lot of interest in trans-humanism, a belief that humans can evolve to become more than what we are now. 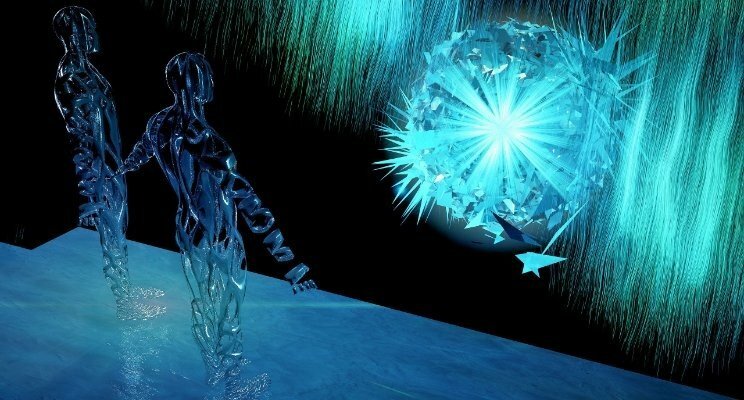 Implants could be an option in trying to trigger this evolutionary process, allowing you to level up and have abilities that one would now see as superhuman. We have apps for everything, from paying our bills to changing the channel through our phones. One of the most common apps nowadays are used for messaging, used even for businesses. It has become a great channel for customer service and is more accessible for a lot of people. But with a human on the other end, the costs are bound to skyrocket, even when outsourced. This is why efforts are underway to make bots even more intelligent. Chatbots will not only decrease the cost for a lot of businesses, it also makes it easier for relevant information to be found and shared to the user. But bots are not just useful in terms of messaging. Interestingly enough, Facebook started to explore something big last year, something that could eventually allow you to automate your home through the use of bots. Earlier, we mentioned Iron Man’s Jarvis. Well, with the right integration of bots and AI, this could be a possibility, and Facebook’s current study could be paving the way to that. Soon, we may see refrigerators that order their contents automatically when your supplies are running low. Or lawn mowers that automatically do the job the moment they sense that the grass is starting to grow. Apps may be great, but there’s a lot that they can’t do yet – things that bots will probably be able to do. 3D printing isn’t new and has been around for a few years. But with everything that has been accomplished here, we can safely say that you can expect a lot more in the years to come. People have printed everything from Super Bowl shoe cleats to parts for fighter jets. It has gone created prosthetic parts, as well as to car frames and houses. This shows how much future there is in the business. The biggest 3D printers in the world have been making amazing stuff, so it’s safe to say that these printers will be even more accessible in the coming years and will allow us to build practically anything from scratch. At the moment, our general idea of a robot is that we have to program it to do whatever it does. Basically, whenever it needs to upgrade its skills, it would need a human to update its system. Well, those days will soon be over. In Menlo Park, Kinema Systems has developed a robot that is able to pick up boxes and place them where they are needed. Seems simple enough? This is actually a job most common in warehouses. And while it’s easy for people to look at a box and figure out how to pick it up and stack it, it’s something that wasn’t as automatic to robots – until now. MIT’s CSAIL department has also been working on a brain-controlled robot that actually corrects itself when the human sees a mistake. In this project, it’s not just about getting humans to understand the way robots work. Rather, it’s about getting robots to understand how humans think. Amazing, huh? You know what’s most interesting? It’s the fact that a lot of the things we now see as reality used to be considered as science fiction. This is how important disruptions have been to our lives, and it will continue to be relevant not only to us but to the generations that come after us.